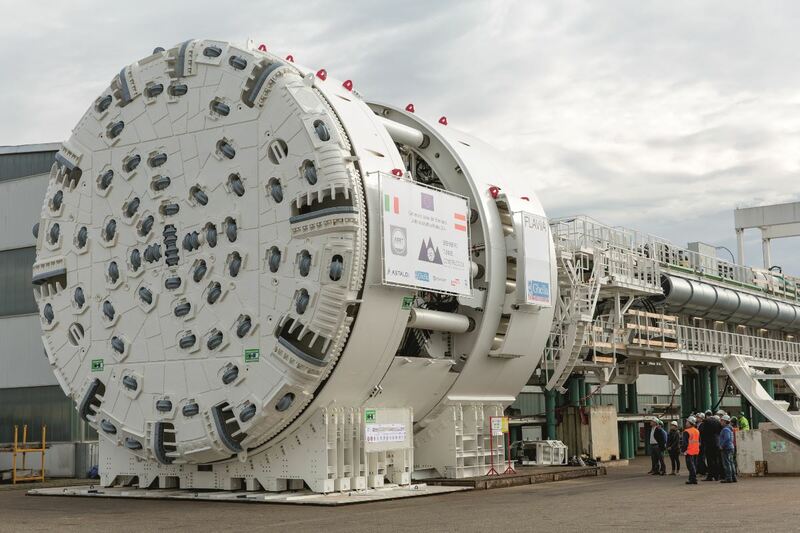 The two tunnel boring machines (TBM) for the construction of the main tubes between Mules and Brennero are currently being delivered to the Mules construction site. During winter, the machines were tested thoroughly at the production plant in Germany, and then disassembled and prepared for transport. 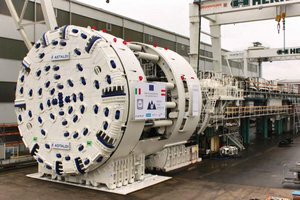 The biggest and heaviest components, weighing almost 150 tons each, are even being transported by ship, since the road infrastructure from Germany to Mules is not commissioned for truckloads of similar sizes. 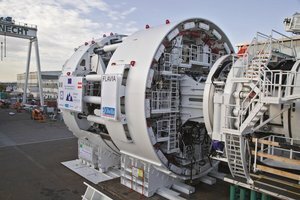 Once unloaded at the construction site, the machines will be assembled again in purpose-built chambers inside the tunnel system. 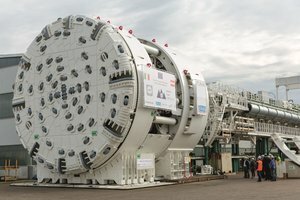 The TBMs, called „Flavia“ and „Virginia“, have a diameter of 10.65 metres, a length of 200 metres and a continuous power of 4,200 kW, corresponding to 5,600 horsepower. 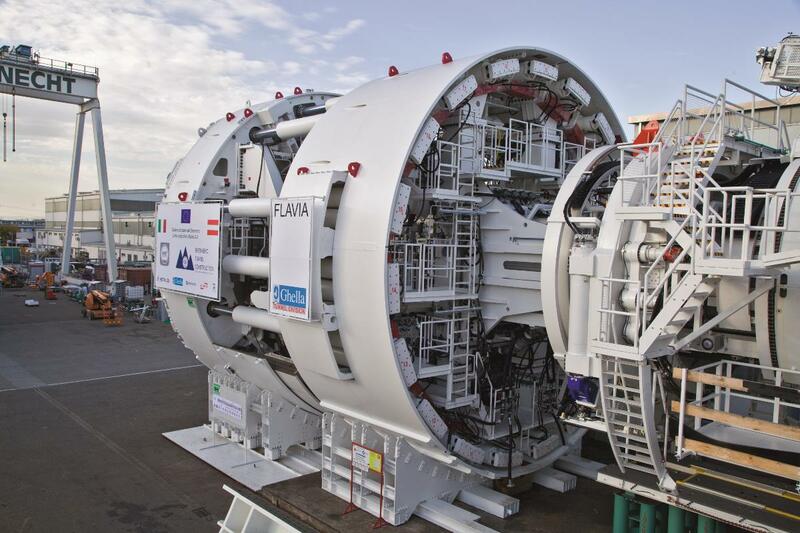 The third TBM of the Mules construction lot, baptised „Serena“, is fully assembled and waiting to start construction. Starting in March, it will build the 14 km of exploratory tunnel between Mules and the state border.